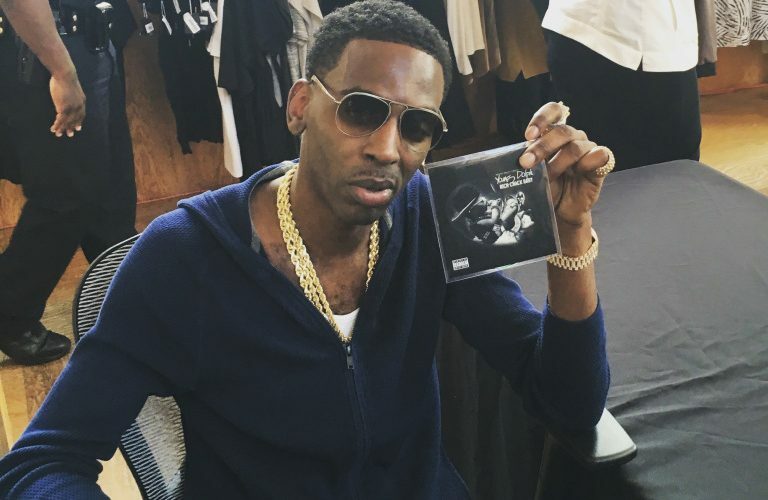 Young Dolph says he is still very much bulletproof as he recovers from getting shot last month and plots his musical comeback. Maybe it’s full time that Young Dolph and Yo Gotti and whoever else is involved in that feud to sit down and chop things up and make peace. But that wish is a long shot. Dolph is still on his recovery bed and he is tweeting taking shots at whoever wants him dead. This is the second time that someone is firing shots at him in the last couple of months. Yet he is not taking heed. “No fuk nixxa formed against me shall prosper!” Young Dolph tweeted while adding some dolphin emojis. The “100 Shots” rapper survived a drive-by shooting in February of this year. Over a hundred rounds of bullets were fired at an SUV that he was traveling in. Fortunately for him, the vehicle was bulletproof. But it seems like Dolph will be the next Yung Mazi if he doesn’t take some serious steps to protect his life. One man is currently charged with attempted murder and rapper Yo Gotti was named as a person of interest and is cooperating with cops. Young Dolph was shot at least three times on September 26 in Hollywood, CA. He was hospitalized in critical condition but he pulled through and is currently recovering. Sources say Young Dolph is currently working on a new single about getting shot five times and being bulletproof. Back in March, he released the single “100 Shots” in response to the drive-by shooting. He was lucky to have walked away from that as well as the most recent one, but hopefully, there won’t be a next time. No fuk nixxa formed against me shall prosper! ???? ?